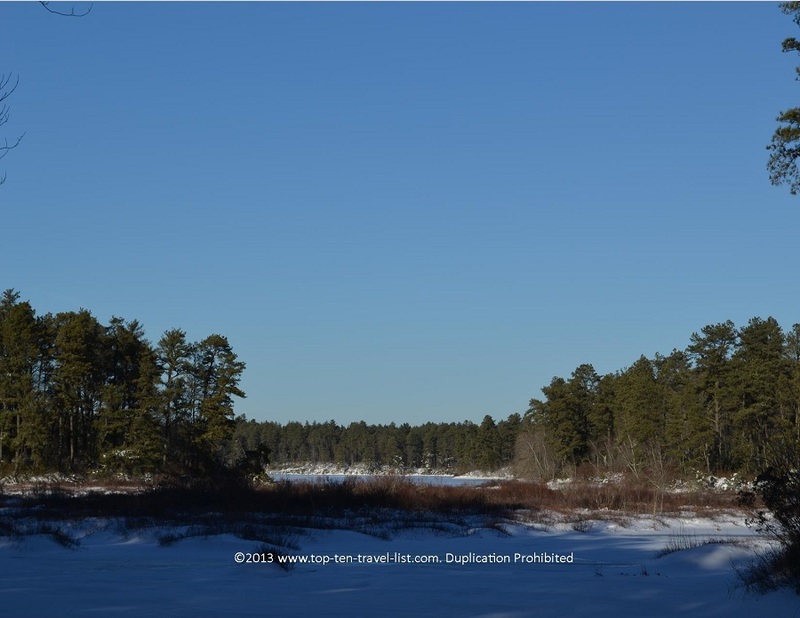 Winter Fun: Snowshoeing at Myles Standish State Forest - Top Ten Travel Blog | Our experiences traveling throughout the US. Getting out into the cold weather and snow doesn’t sound like much fun until you break out the cross country skis and snowshoes! 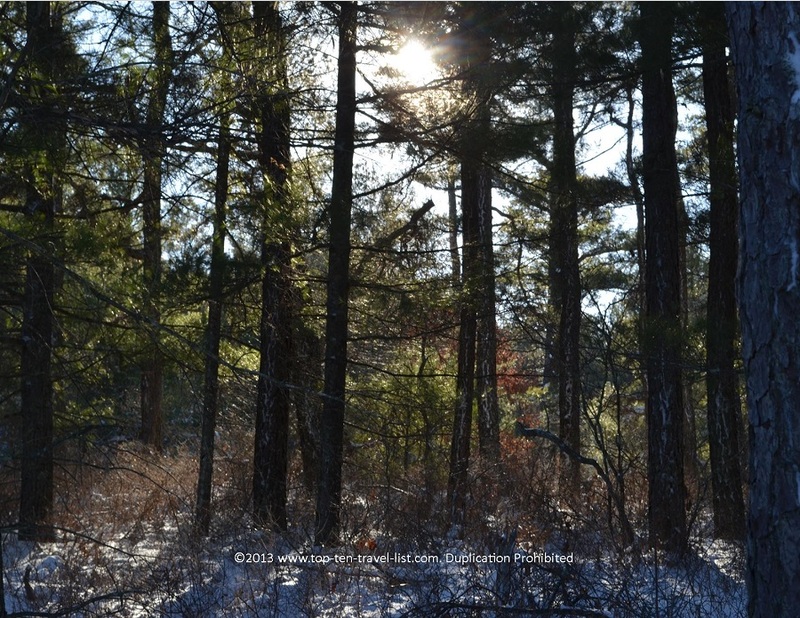 The brisk long winters of Massachusetts can be hard on athletes and photographers. 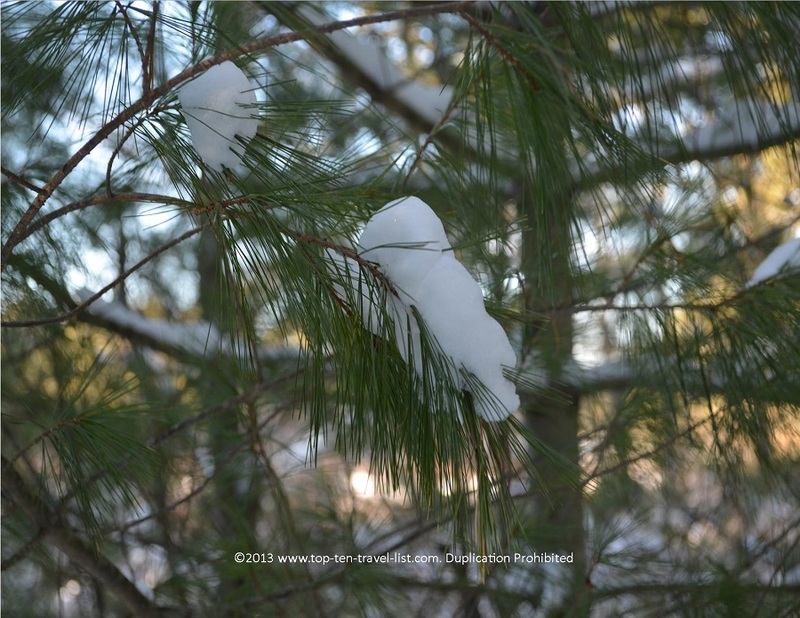 Mike and I decided to break up the monotony of gym workouts by getting out for a snowshoe hike at Myles Standish. 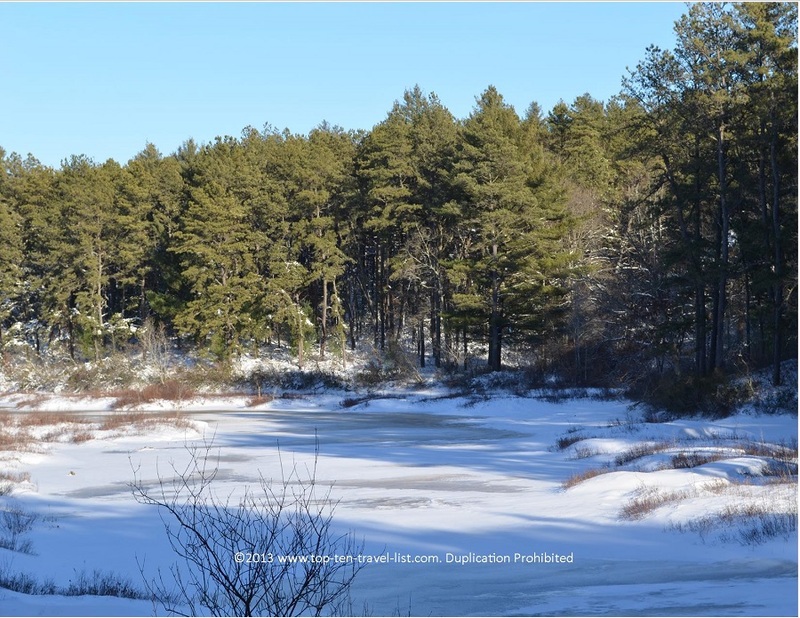 This beautiful Southeast Massachusetts state park is one of my our favorites in the area because of the serene scenery and remoteness of the area. The park is never overly crowded and the reservoir views are relaxing. We passed only a handful of people out skiing. I personally wouldn’t ski here as there are a number of tough hills. Advanced skiers may enjoy the remote setting and tough hills. 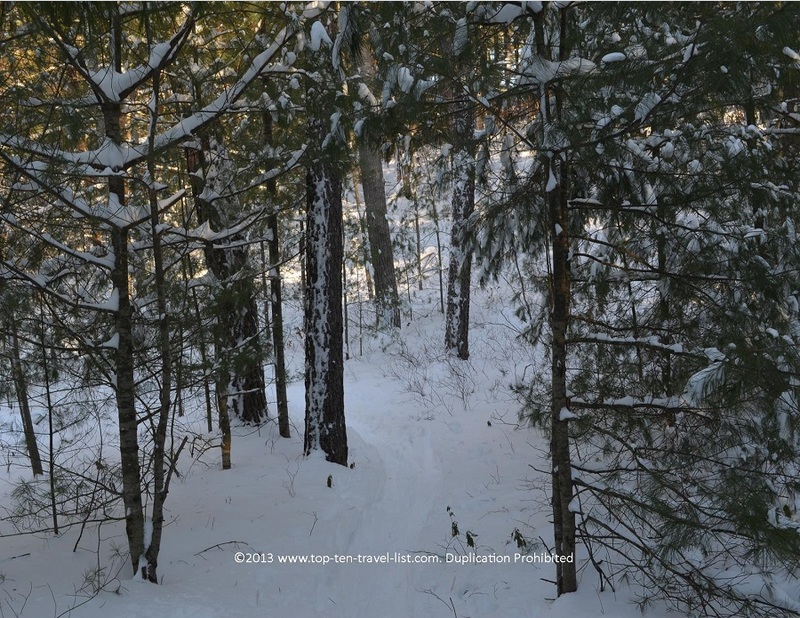 View the winter trail map to view the different options available. Surprisingly, snowshoeing is an excellent cardio workout. To me, snowshoeing isn’t much harder than a hike. Getting out for a snowshoe hike is an excellent way to keep in shape without sacrificing the fun. You will get in a great lower body workout. It’s a great winter sport as no lessons are required and rentals are much cheaper than ski equipment. A pair of snowshoes rentals typically costs about $15. It was a brisk day, however, you really warm up once you get into the hike. I recommend dressing in layers as you will start out cold and likely finish much warmer. 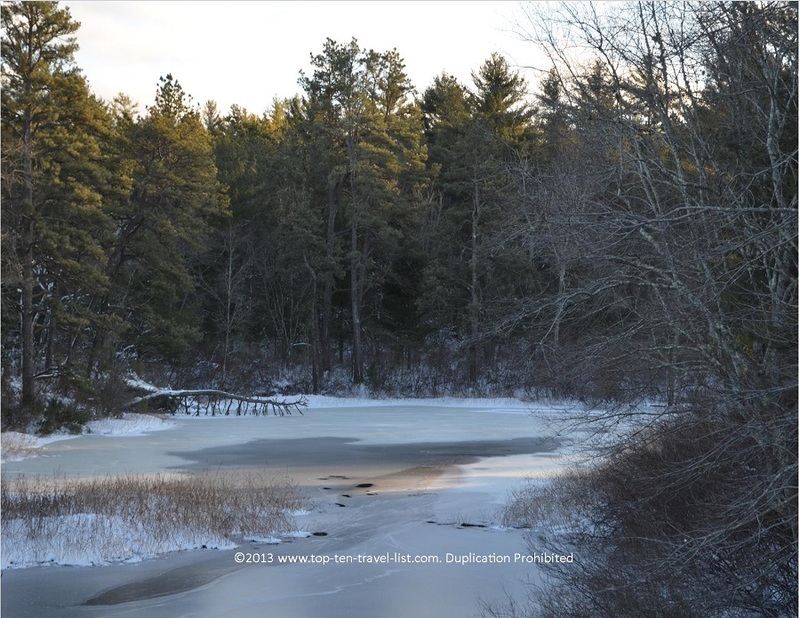 Myles Standish is normally pretty dark and eerie place, however, it was a nice day with a bit of sunshine. 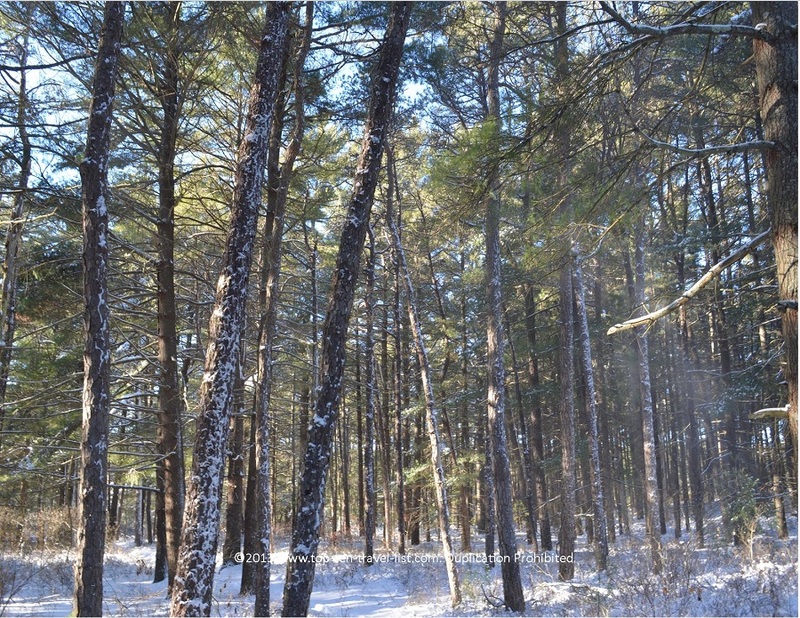 Myles Standish State Forest is located on Cranberry Road in South Carver, Massachusetts. Carver is located about 15 minutes from Plymouth, making it an ideal daytime activity. Visit the Myles Standish website for more information.